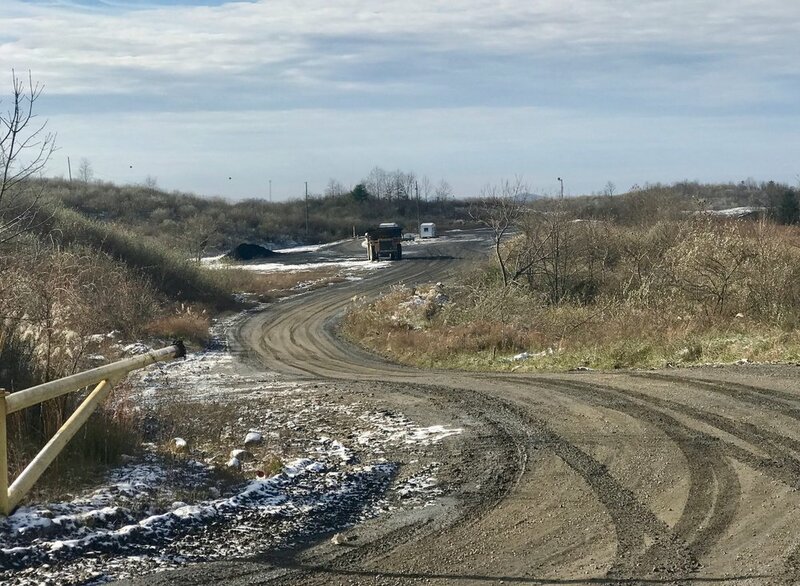 A coal truck moves through the Bent Mountain surface-mining operation outside Pikeville, Ky. A $150 million solar energy project has been proposed for the site. 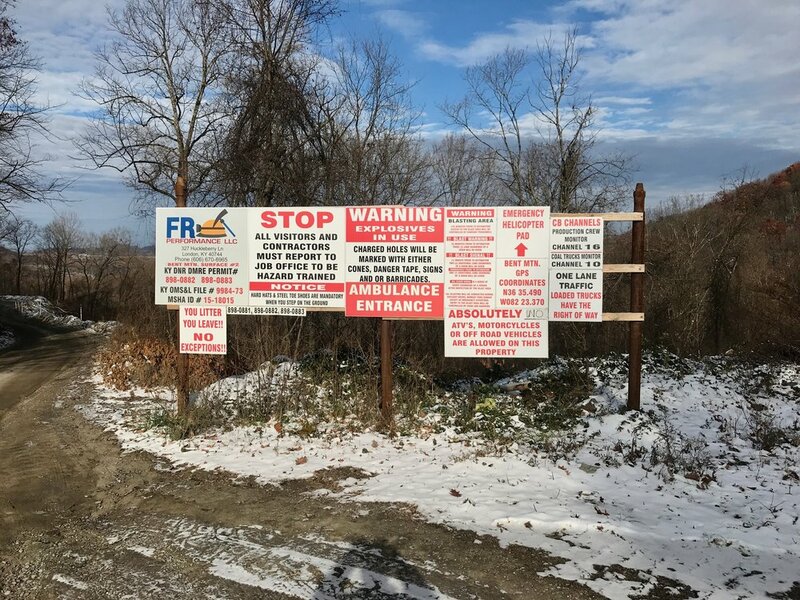 The entrance to the Bent Mountain surface mining site outside Pikeville, Ky. 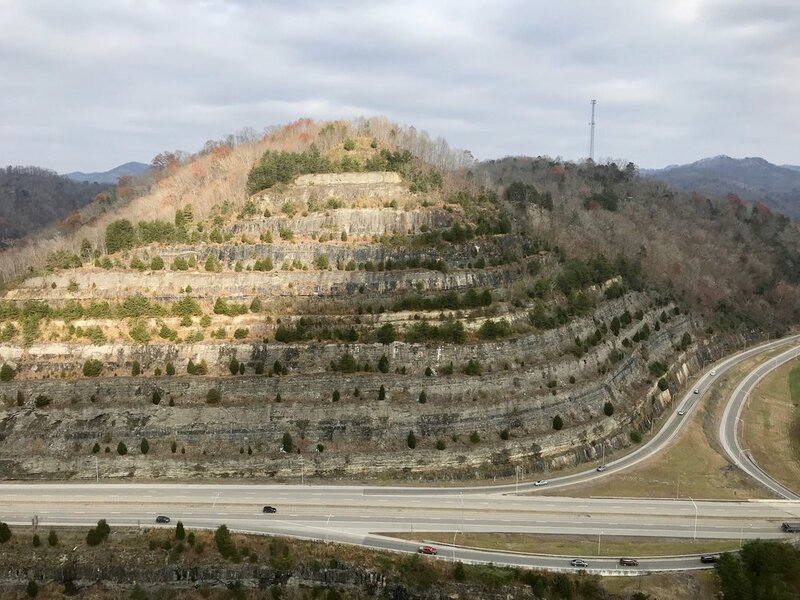 The Pikeville Cut-Through project removed a section of Peach Orchard Mountain to provide a new route for a highway, railroad and river. 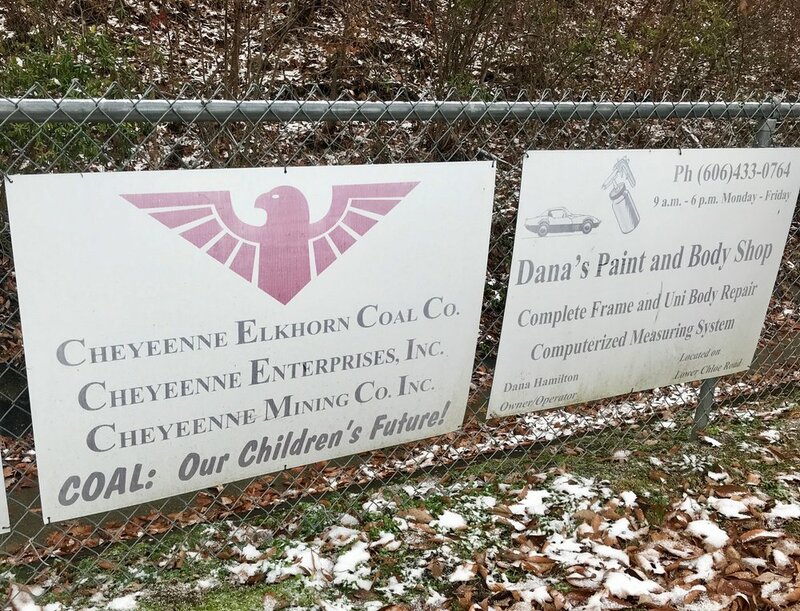 Signs at a Pikeville soccer field.